Is neuroeconomics a flimsy fad likely to pass without leaving a discernible trace in economics? Or is it a promising new field with the potential to enrich and improve economic theory? 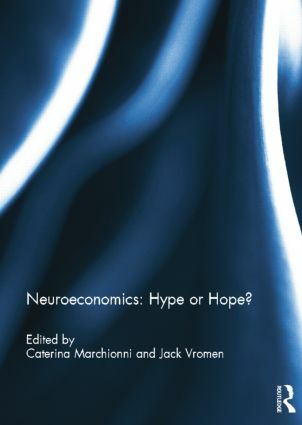 Neuroeconomics brings together a unique mix of perspectives ranging from philosophy of science to neuroeconomics practice to reflect on the promises and limitations of neuroeconomics for the future of economics. The analyses collected in the volume suggest that although neuroeconomics raises methodological worries that ought to be dealt with, it might contribute to economics in various ways, some perhaps more promising than others. One thing comes out clearly, though: a complete insulation of economics from neuroscience and psychology is likely to do economics more harm than good. This book was originally published as a special issue of Journal of Economic Methodology. Caterina Marchionni is researcher at TINT (Trends and Tensions in Intellectual Integration), Department of Social and Economic Studies at the University of Helsinki, Finland. She works on the philosophy of economics and philosophy of the social sciences, in particular on modeling, explanation and interdisciplinarity. She is book review editor of the Journal of Economic Methodology. Jack Vromen is professor of Theoretical Philosophy at Erasmus University of Rotterdam, The Netherlands. He is also academic director of EIPE (Erasmus Institute for Philosophy and Economics) and Chair of the Executive Board of INEM (International Network for Economic Methodology). Since his Ph.D research on Economic Evolution (1995) he is hooked on theoretical and meta-theoretical issues in Economics and Evolution. He has also recently developed research interests in Neuroeconomics, social mechanisms and booming ‘Economics Made Fun’ genre.